After you meet us and decide you like our Club, you can officially become a member by paying a very minimal yearly fee. 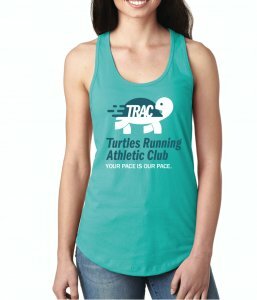 First 40 paying members will get this awesome Turtle tank top! Once you sign up, we will send you an email confirming that you will be receiving this welcome gift. Invitation to all club weekly runs, open water swims, various bike rides for all levels and different distances. Invitation to Club only workshops educating all level members on running, swimming, cycling, and triathlon. You will be directed to a PayPal site where you can enter your information securely and pay with Credit cards or PayPal account. By Checking This Box I agree to the Waiver and Release of Liability as stated in this document. If you are registering a minor an adult must agree to the waiver on their behalf.